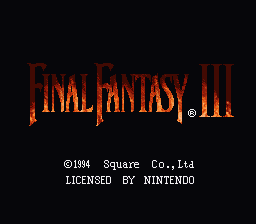 Final Fantasy III is a role playing game for the Super Nintendo. 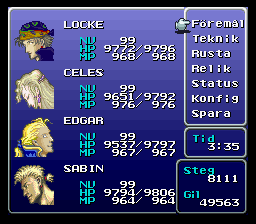 This is also known as Final Fantasy VI in Japan. 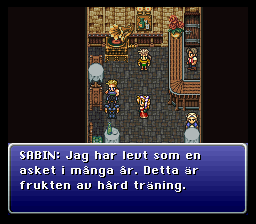 This is a Swedish translation of Final Fantasy III for the SNES. 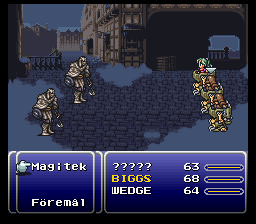 Version 3.0, which is almost a complete re-translation, will be released in 2018 so the author suggest you have some patience. 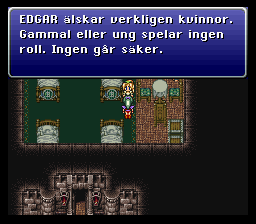 Otherwise 2.1 is completely playable, but nowhere near the new translation in terms of quality.